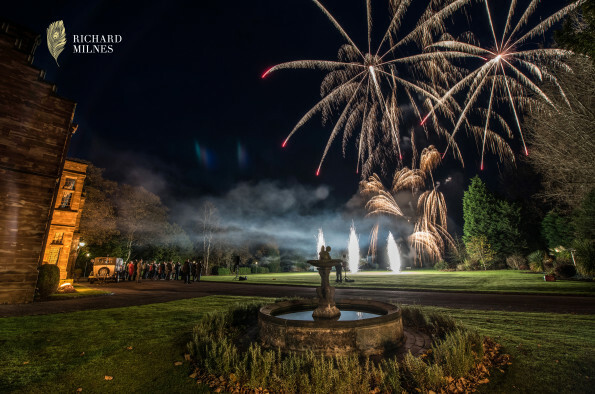 Sirotechnics Fireworks are proud to be the exclusive supplier at Hawkstone Hall & Gardens. 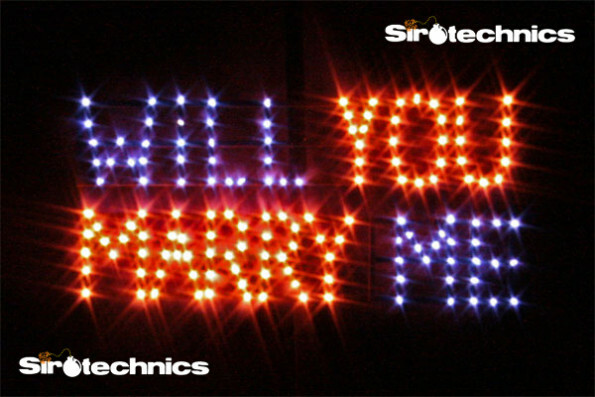 Forging a relationship built on safety and trust, Sirotechnics have been chosen to help you celebrate your special day. 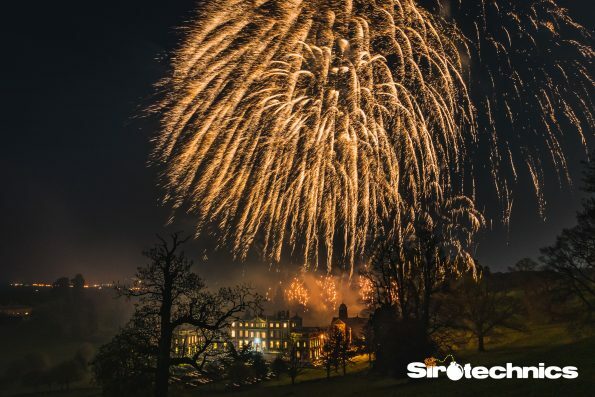 Whether it be a Wedding, Corporate event or Private Party, Sirotechnics are here to help with Hawkstone Hall Fireworks. 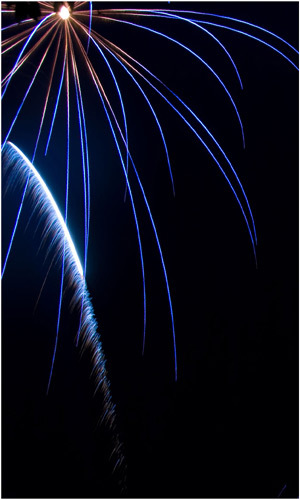 Sirotechnics are multi award winning firework display providers. Working worldwide, recently being chosen to represent the UK in the Monaco international fireworks competition. Hawkstone Hall recognise the quality and attention to detail that our displays provide, coupling the high standards of the venue and supplier alike. Fireworks are the perfect way to end your celebration in style. 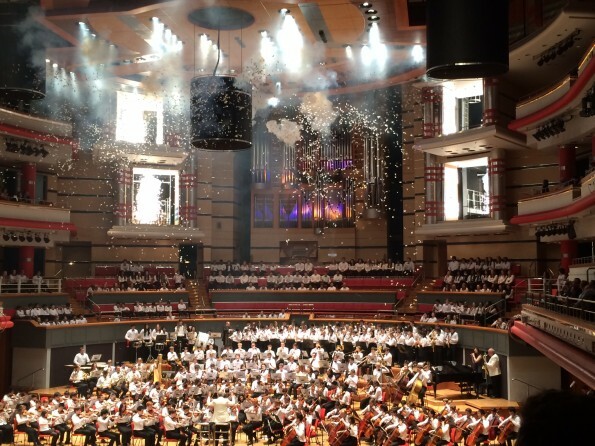 Sirotechnics can provide either high impact jaw dropping powerful displays or pyromusical fireworks, synchronised to dance to the beat of your favourite tracks. Every display is bespoke starting from £2500.00 fully inclusive. For more information on our displays at Hawkstone Hall, please contact us here or call us on 0121 769 2064 to discuss your requirements and arrange a meeting. From Birthdays to Bar mitzvah’s we can create a fireworks display to match. The image above is of our wonderful Lancework where we can create any message in fire for the special occasion. We are the UK’s first company to be able to project numbers and names in the the sky too. This technology comes from Italy, Austria and Spain combined to make a unique experience and true personalisation. Lettershooting is an addition to any show quoted on request. See below for an example of the name “SIYU” being fired! If you would like to discuss your requirements further, simply call us on 0121 769 2064 or fill the form in below with as much detail as you possibly can and we will get back to you about your Party Fireworks ASAP! There are very few venues in the UK that evoke such a feeling of prestige and exclusivity as the fabulous Goodwood House near Chichester. 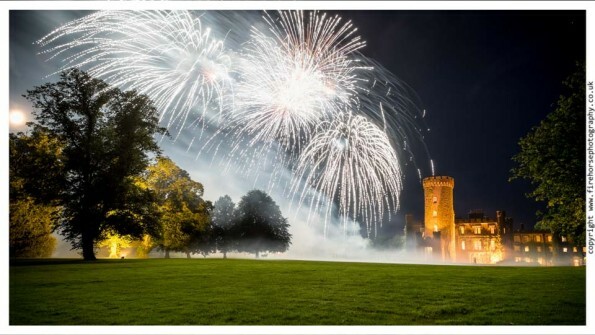 Being one of the largest estates in England means it is absolutely perfect for a firework display in any one of the ground’s locations. 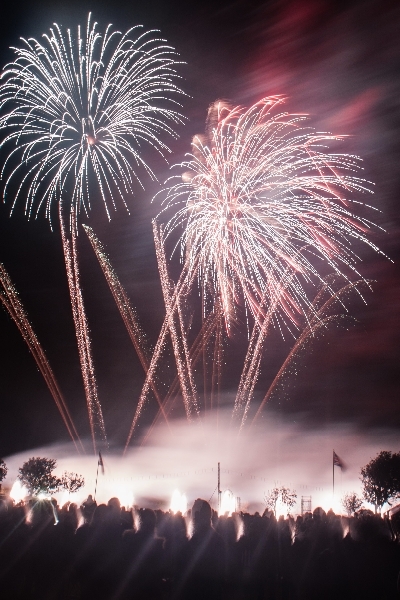 As a wedding venue, Goodwood House allows a limited number of firework displays a year with prior permission from Lord March and his Family who still live in the wonderful house. With a large horse stables on site as well as much livestock, Sirotechnics plan everything with the Goodwood Health and Safety team and Wedding Planners to ensure your display is provided without a hitch. If you are thinking of having Wedding Fireworks at Goodwood House then if would certainly be worth getting in touch with us to discuss what you would like to see on your big day. 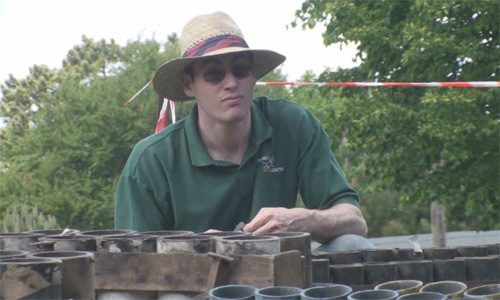 Sirotechnics are Goodwood House Fireworks Recommended Suppliers, so if our videos are not enough, you have the stamp of approval from the wedding team at Goodwood too! 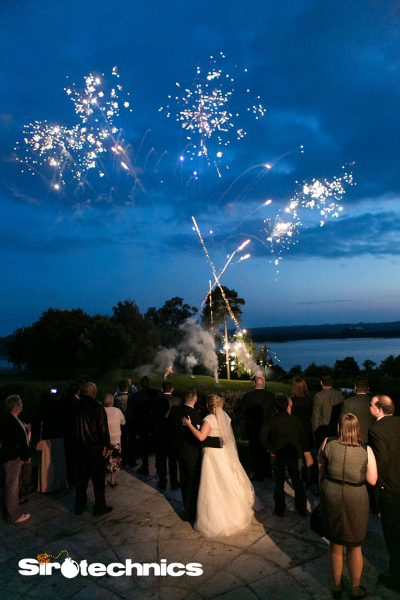 We can even put you in touch with the videographer who specialises in firework videos that produced the above video, for a little extra we will even take breathtaking stills of your Wedding Fireworks at Goodwood House. See the scale of the display below illuminating acres of the surround grounds, house and guests to perfection. 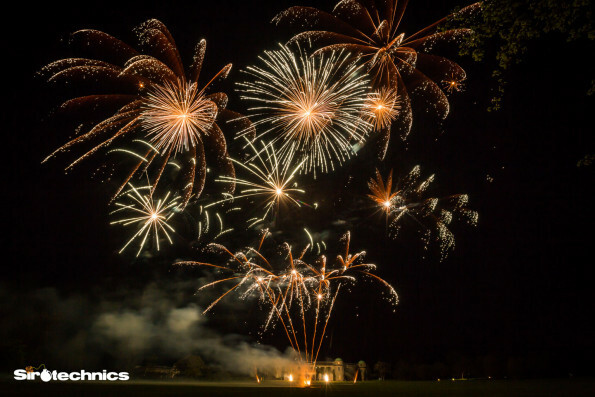 Of course, your Goodwood House Fireworks do not have to be for a wedding, or even pyromusical, they can be for any event held at the venue. 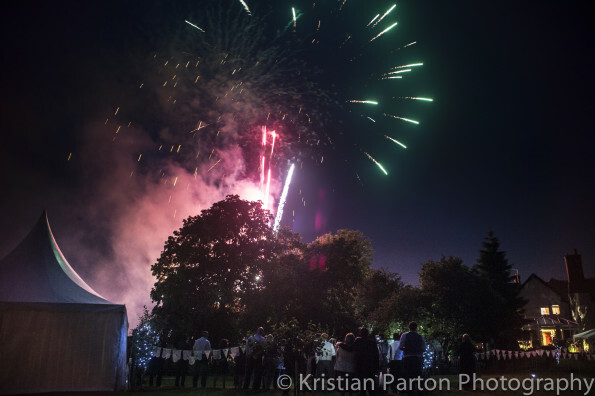 Corporate Fireworks at Goodwood House for your annual staff party perhaps. We have created intimate displays for families having a special dinner with friends. Party Fireworks really are the ultimate luxury. 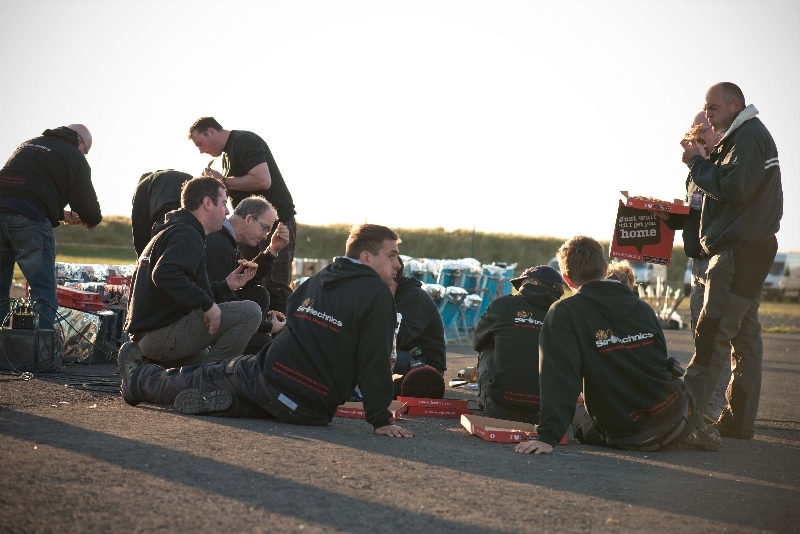 Would you like to talk with Sirotechnics about your Fireworks at Goodwood House? If so, please fill in the form below and we will get back to you within 24 hours, or call the office on 0121 769 2064 if you want an even faster response! There are very few venues in the UK that offer the grandeur and excitement that is bestowed upon you when entering the gates of Aynhoe Park. From the moment we arrived on site for our very fist firework display we were enchanted by the gentle up-lighters on the building facades and the warm glow from inside. Now a few years on and having performed many firework displays at Aynhoe, we still get that feeling. On a recent visit we even adorned the front lawn with oil lamps to add to the roaring fire pit and ambience outside before the display. For this display we worked to the couples requirements of duration and music choice within budget. We offer a fully tailored service to our clients often meeting to discuss ideas on larger shows over a coffee. We take care of all the details from music mixing, supply of the very best sound system and venue timings for you. We simply need to agree your music and colours and let the creative prevail! 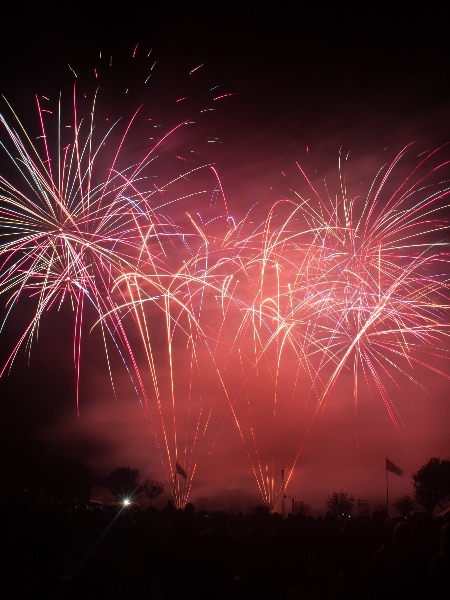 We have worked hard on every display carried out and are proud to be on the Preferred Supplier List for Wedding Fireworks and Corporate Fireworks Displays at Aynhoe Park. With a recommendation from the Butler, what more could you ask for?! We are happy to offer advice and pride ourselves on our work and relationships with clients and venues. Aynhoe Park can guide you through some of the details before you speak with us too. Don’t be afraid to ask! 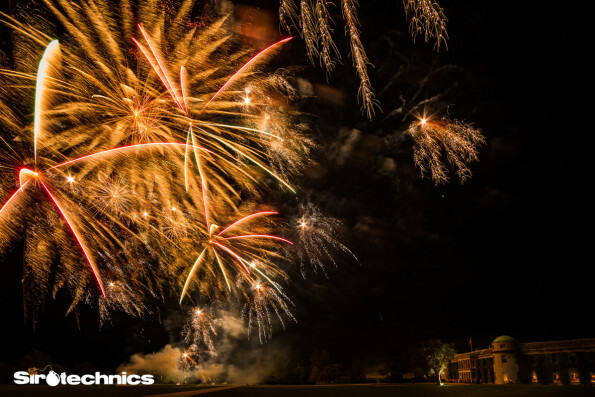 We hope you enjoyed the display above, especially the HUGE finale showcasing Aynhoe Park in its full glory with a canopy of gold stars above! Perhaps one day soon we can create magic in the sky above once more. 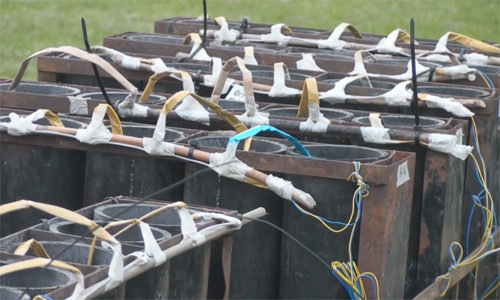 What better way to ask your partner for their hand in marriage than using fireworks?! If this is what you are looking for then you have found the right place for engagement fireworks. 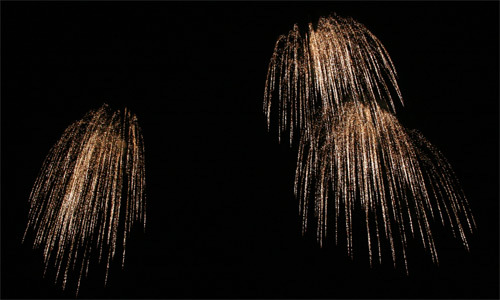 What about a beautiful accompanying aerial fireworks displays when your partner says yes? We can provide an accompanying fireworks display to the occasion too. You don’t have to have hearts, or a lancework proposal fireworks, but here is a big heart shape in the sky so you can see it is indeed possible! 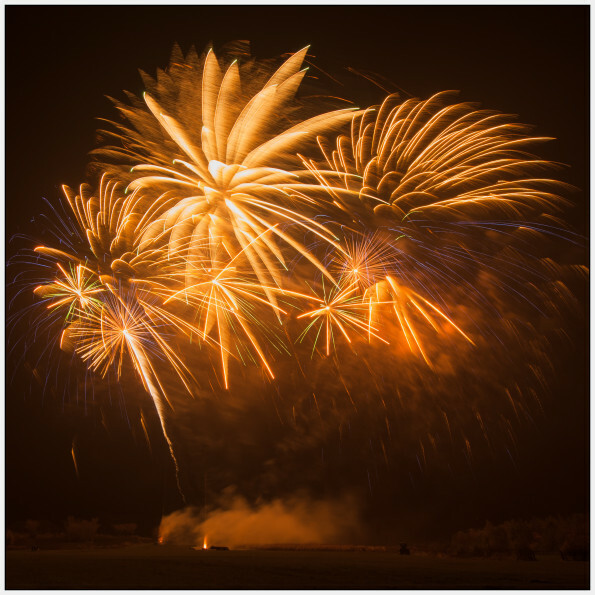 If you think its all a little too much with personalised fireworks, don’t fret, Sirotechnics provide professional firework displays UK wide meaning we can put together a spectacular engagement fireworks display just for you. Every display we create is unique and tailored to our clients wishes. We offer a totally bespoke service to every customer at no extra cost. 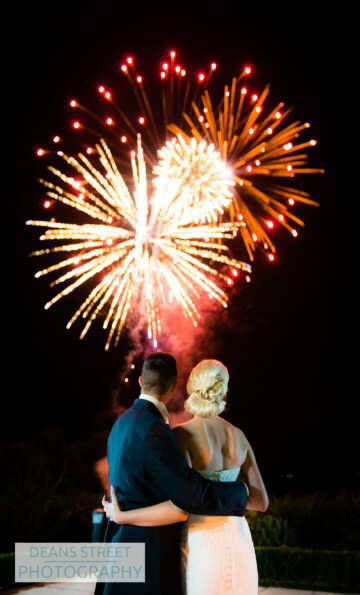 To discuss your proposal fireworks with us simply drop us a line below! Please note – this is a UK only service at present. Firework Displays for any Occasion – by Sirotechnics Fireworks. February the 14th is a special day for people across the world. 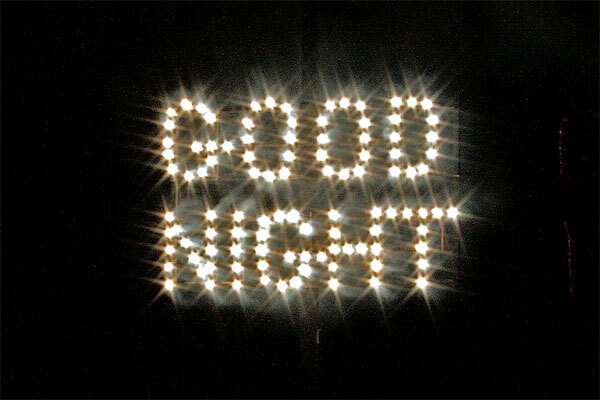 If nothing else, it is a great excuse for a date night and to spend some time with that special someone. Here at Sirotechnics Fireworks, we often get asked how we can make Valentines day an extra special occasion with the addition of fireworks? We have done proposal fireworks for a whole host of clients, including celebrities, where we discreetly create the message “Will you marry me?” in fireworks, much to the amazement of the client and guests. We remain totally discreet throughout the event and press the button when we see your agreed secret signal. Click the photo above to see a video of heart shape fireworks in the sky too! For more information on your Valentines Day Fireworks, get in touch with us here, or call the office on 0121 769 2064. 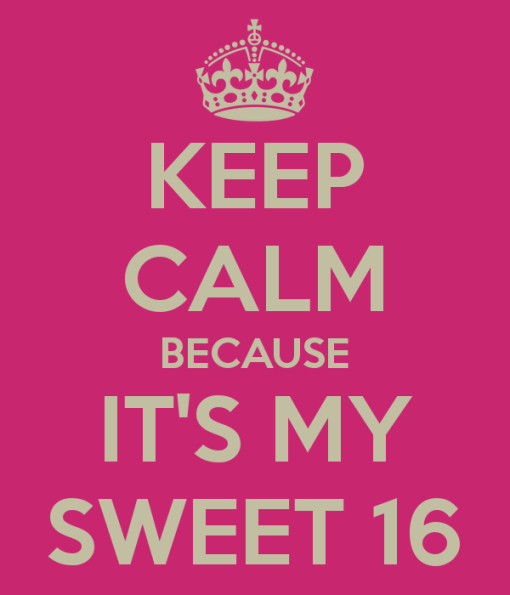 Sweet 16 Fireworks – Celebrate in Style! Are you hosting a huge party for your Sweet 16 and want to stand out from all your other friends? Is the answer to that is yes – then you have found your answer right here! Sirotechnics Fireworks provide Firework Displays for all types of celebration and party nationwide. Sweet 16 Fireworks are increasing in popularity year on year and we have been asked to produce some stunning displays large and small. Our friends across the water in the USA host some of the most crazy Sweet 16 parties in the world, and its phenomenon rapidly expanding in the UK. 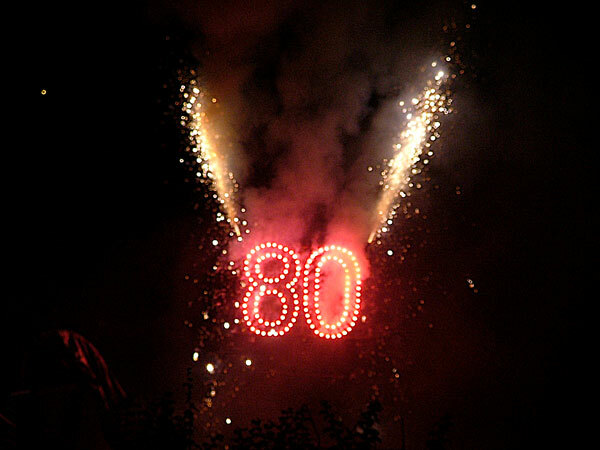 What can we create for your Sweet 16 Fireworks Display? Have your name and age in Lancework perhaps? This is where we create firework writing in any colour you may choose – stand out, be different and start your show in style. To follow, Sirotechnics can provide you with a short and sharp fireworks display lighting up the sky for miles around to thrill your family, friends and guests. You can have a longer display too, it doesn’t have to be short, but we recommend something high impact. Below is a photo from the Finale of a Sweet 16 party where we used huge aerial shells to make this dramatic climax to the display. So what to do next? Sirotechnics make the whole process of booking a fireworks display a breeze. Simply, we agree your requirements, send out the paperwork, design your show, visit the venue to ensure its safe, and see you on the day. You need worry about nothing, just sit back, relax and be the envy of all your freinds on the night! 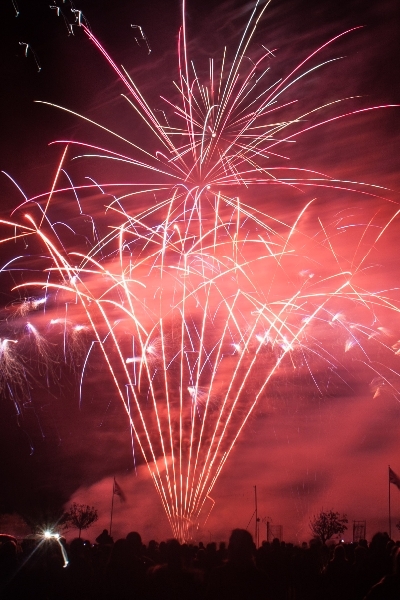 To book your Fireworks Display Contact Us Here or Call the office on 0121 769 2064. Nick and Mel’s Wedding Fireworks! 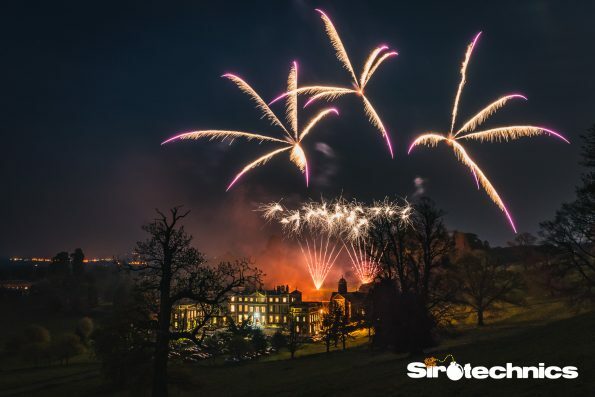 Sirotechnics have had a fantastic weekend at Nick and Mel’s wedding and we would like to share with you the wedding fireworks display which made the evening even more spectacular! This was a high impact short duration display with lots of hard hitting effects throughout. We used large calibre cakes along with shells up to 100mm in diameter. There were even 3 lovely heart shape shells near the end – see if you can spot them. What else made the evening fantastic? Well Sirotechnics were pleased to meet Richard Kemp from Kemp and Kemp Catering. The food was truly exquisite and they specialise in bespoke food for independent weddings. Richard and his team put on a true feast, so if you are looking for fantastic food for your wedding, look no further than below. Richard and his team also have another website for independent weddings. Here you can find other suppliers for your bespoke wedding. Why have it the same as everyone else? These include marquee companies, refrigeration units, photographers, flower arrangers, and now Wedding Fireworks Providers!